Hittitology is a field of studies that primarily deals with the written documents left by the inhabitants of Anatolia during the Middle and Late Bronze Age (ca. 2000-1200 BCE). Hittite scribes used the cuneiform script that had been invented in southern Mesopotamia during the late 4th millennium and that subsequently had been adopted in other parts of the Near East and applied to various languages. The Hittites created Turkey’s earliest indigenous scribal culture. Hittite cuneiform tablet from Hattusa (Boğazköy) pieced together from several fragments. The text is a ritual for the royal funeral. 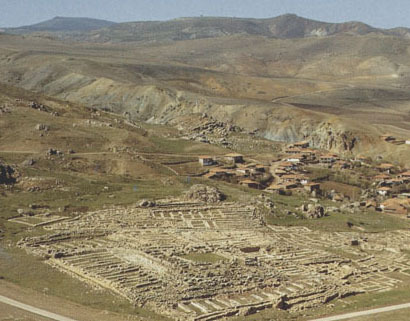 By far the most cuneiform tablets were found in the capital of the Hittite kingdom at Hattusa (modern Boğazköy). Here, excavations initiated and financed by German institutions took place between 1906 and 1911, 1931-1939, and from 1951 until today. During the past decades excavations in the ruins of other Hittite cities yielded cuneiform tablets, too. Up to now approx. 30.000 tablets and (mostly) fragments of tablets have been unearthed. The ruins of the Great Temple of the Storm-god of Hatti and the Sungoddess of Arinna. In the store-rooms surrounding the temple a large collection of tablets was discovered in 1906. Together with archaeological evidence the written sources allow to reconstruct the history and culture of Anatolia during the 2nd millennium BCE. 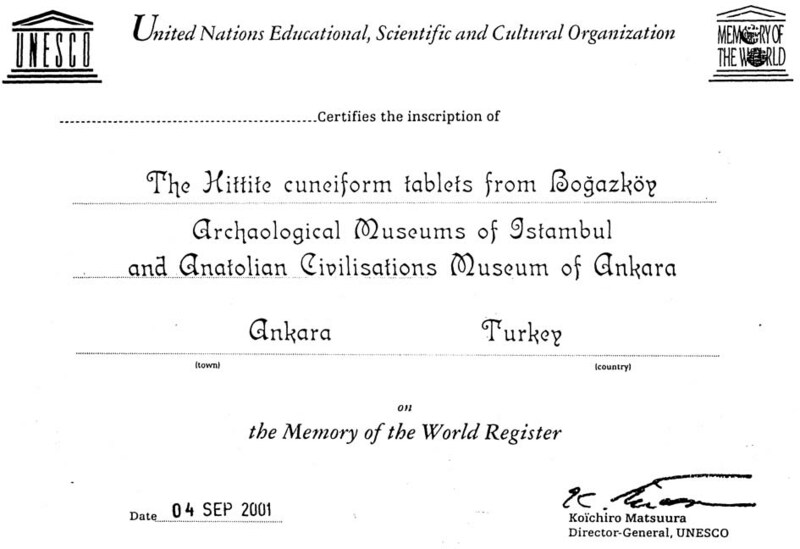 In 2001 UNESCO included the cuneiform tablets from Boğazköy to its Memory of the World Register. Present-day hittitology looks back at one century of research that was enormously productive. Still at the beginning of the 20th century, Hittite studies faced more riddles than results, but in the course of the past century Hittite studies became a sound philology and contributed substantially to the understanding of ancient near eastern history and civilization. 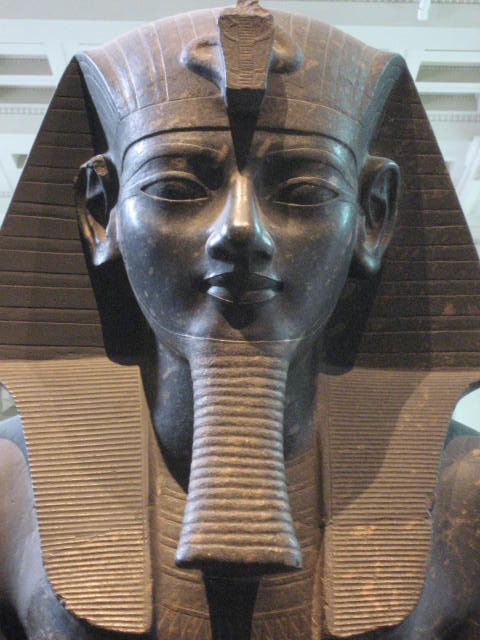 Pharaoh Ramses II (1279-1213), statue in the British Museum. (1) Hittite has been and still is particularly interesting for (comparative) linguistics: Hittite and related Anatolian languages are the earliest attested members of the Indo-European language family. 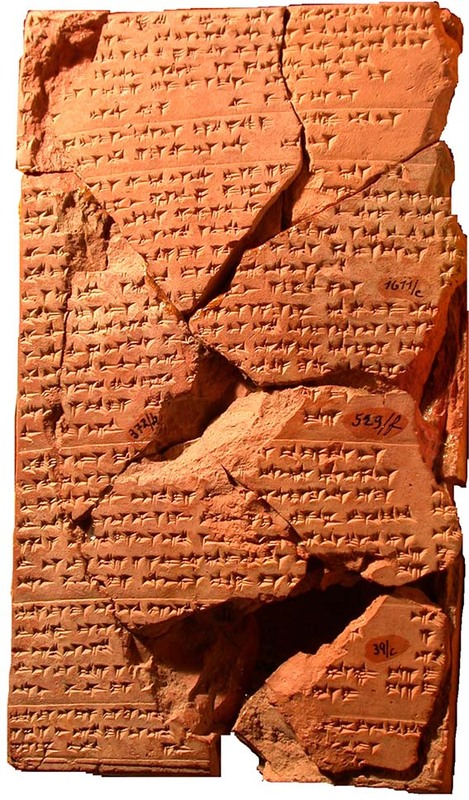 Apart from that, cuneiform texts from Hittite tablet collections provide information on two other languages that are unrelated to Hittite or any other known language group (Hattian and Hurrian). (2) Texts from Hittite tablet collections form the most important corpus of sources for the political history of the late Bronze Age in the Near East (1550-1200 v.Chr.) In particular the political history of Egypt and Syria during the Amarna period (14th century , late 18th dynasty) and the reign of Ramses II (19th dynasty) is mainly known from Hittite tablets. 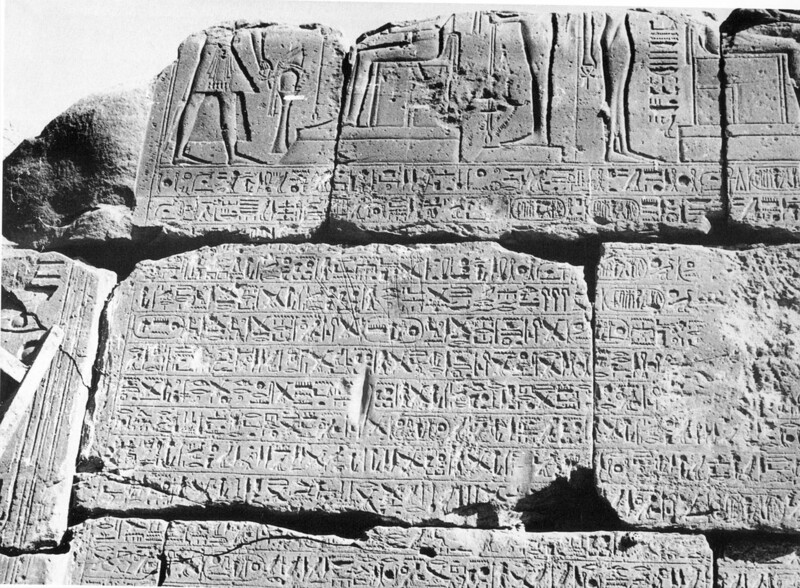 The peace treaty between pharaoh Ramses II and the Great King of Hatti Hattusili in Hieroglyphic-Egyptian translation from the original silver tablet on stone blocks at Karnak in Upper Egypt. (3) Tablets from Boğazköy (and to a lesser extent other places) preserve otherwise unattested myths and form the largest corpus of ritual and oracle texts known from the 2nd millennium BCE. They thus offer extensive material for the study of ancient Anatolian religion. One of the myths that displays close parallels with Theogony of Hesiodus describes the sequence of divine kings in heaven resulting in the kingship of the Storm-god. (4) In the field of literature the historico-narrative compositions written around 1300 BCE under king Mursili II show unprecedented liveliness and a high degree of narrative quality. 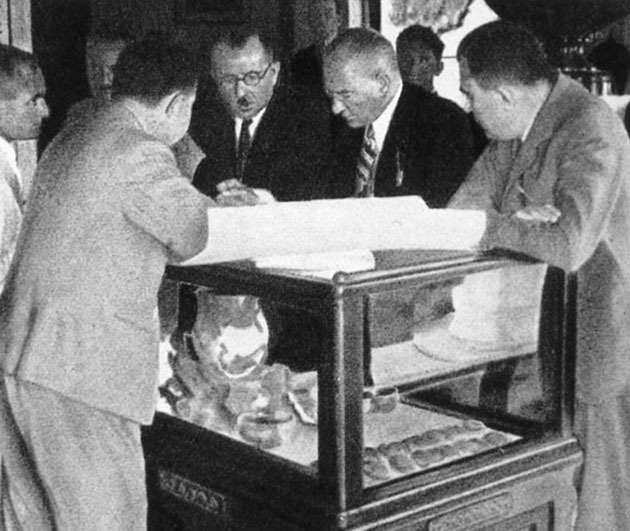 The founder of the Turkish Republic Kemal Atatürk inspecting pottery finds from the excavations at Alaca Höyük. (5) Last but not least Hittite studies have been relevant in the process of modernization of 20th century Turkey: When the founder of the Turkish Republic Kemal Atatürk shaped new political, economic and cultural patterns and institutions, he took care in supporting research on the prehistory and history of Turkey. He founded the Türk Tarih kurumu, the Turkish Historical Society, and kept himself informed about archaeological excavations including the first grand style excavation the Türk Tarih Kurumu started at Alaca Höyük in the vicinity of Boğazköy.